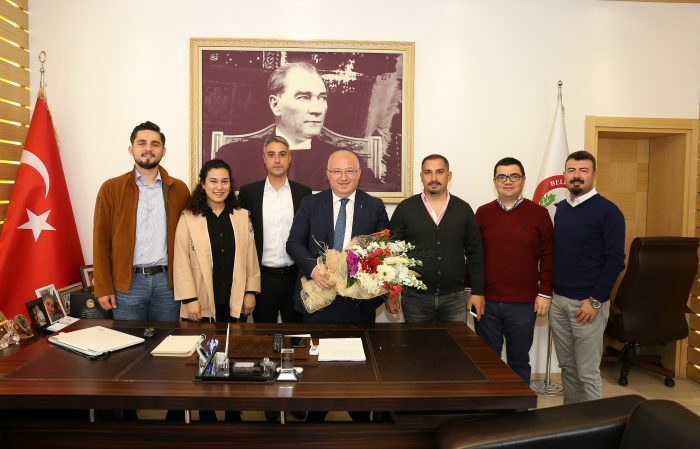 TOBB Young Entrepreneurship Board Executive Committee, Muğla Governor Esengül Civelek, Muğla Metropolitan Municipality Mayor Osman Gürün visited the Mayor of Menteşe Bahattin Gümüş. 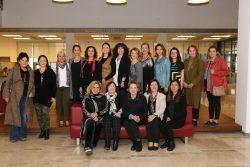 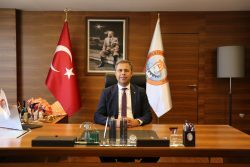 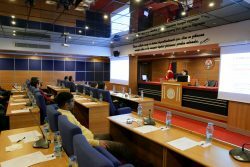 Within the scope of The Union of Chambers and Commodity Exchanges of Turkey (TOBB), Muğla Chamber of Commerce and Industry Chamber (Mutso) Young Entrepreneurs continues to work in the Coordinating Council Provincial Executive Committee, it made protocol visits with the new administration came to office after elections in March. 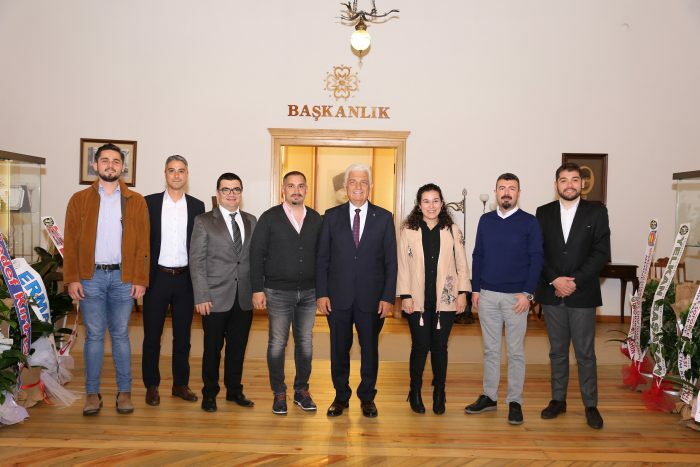 Chairman of the Executive Committee Mehmet Yapıcı, Vice Presidents Merve Bakçek Özdemir and Hasan Tuğrul, Members Zafer Çeliköz, Berke Altınsoy, İbrahim Zeybek and Natural Member MUTSO Board Member Mehmet Çahan, Governor of Muğla Metropolitan Municipality Dr. Esengül Civelek, Osman Gürün, Mayor of Menteşe visited Bahattin Gümüş in his offices. 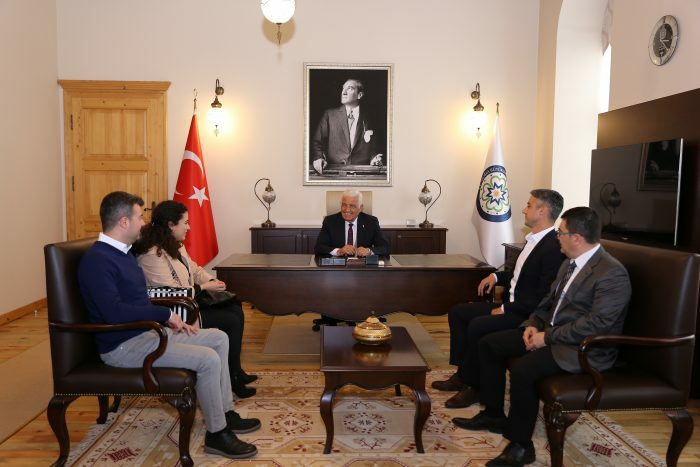 During his visits, President Mehmet Yapıcı, who provided information on the establishment purpose and scope of the Executive Committee of the Young Entrepreneurs Committee, said: TOBB Young Entrepreneurs Council Executive Committee is a structure that continues its activities within the body of TOBB and promotes the promotion and encouragement of entrepreneurship in Muğla. 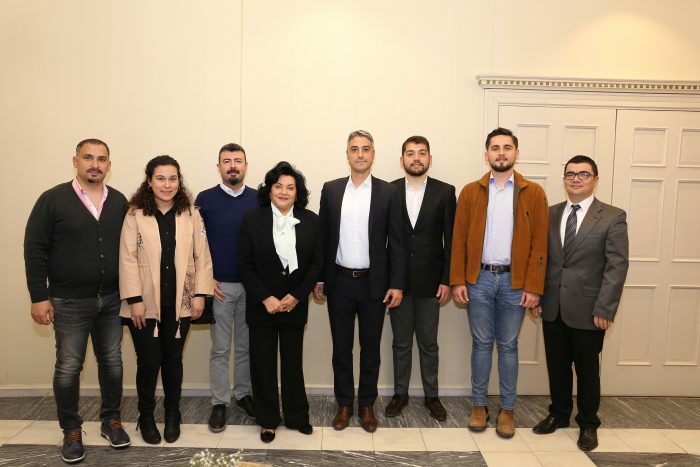 Starting from the university, it is our basic goal to encourage entrepreneurship by encouraging the concepts of the brand, creating its own brands, supporting the business idea and directing it to the private sector. 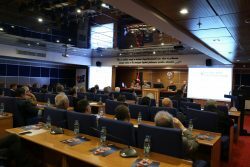 We will carry out our works and projects in this direction during our two-year term.